If you have an electronic cutting machine like a Silhouette, Cricut or Eclips machine, you will love crafting with printed or pattern vinyl sheets. Pattern vinyl looks great on projects alone or mixed and layered with a solid color vinyl for a fun look. I love to adding printed vinyl to my cups, keychains, shirts and it adds another dimension to my project. You can find pattern in vinyl in fun prints like polka dots, stripes, florals, camos, anchors, plaids and more. We made a few fun projects with pattern vinyl and included some resources to help you find pattern vinyl and other vinyl graphics supplies, plus some tips and tricks on how to use it. To save these resources and tips for later, hover over the photo above and press the “P” button to pin it to your Pinterest Boards. I love to add adhesive printed vinyl to my cups, keychains, shirts and more. Most pattern vinyl has a permanent finish, which is great for cups, pencil boxes and items like that. If you are doing something like cutting polka dot vinyl to be put on the walls of your home, you will need to choose removable vinyl to ensure the vinyl doesn’t disturb the paint job when it is removed. Be sure to read up on the brand you buy to see if it is permanent or removable. I like to handwash all of my vinyl’d drinkware vs. put it in the dishwasher to ensure it’s durability (this goes for all vinyl). It does not last in the dishwasher. Craft stores do not sell the quality of vinyl that I like to work with. It is best to order your adhesive vinyl graphics supplies online to ensure you get the best quality, prices and selection. You will need transfer tape to apply your vinyl. You can buy either paper tape or clear transfer tape. I prefer clear so I can easily see where I am placing my design. Before applying my vinyl, I like to gently clean my item (cup, pencil box, etc.) with rubbing alcohol or windex to remove any dust or residue left behind from the item’s manufacturing. A clean surface will help the adhesive get a good stick. After your design is cut, remove the negative of your design and cover the top of your design with transfer tape. Peel off the backing and apply your vinyl to your item. Once it is applied, I rub the decal to ensure it is totally stuck before gently removing the transfer tape. I used this cool lumberjack adhesive vinyl to add a monogram to this double-walled hot drink cup and I love how the red and black looks on the stainless steel. This cool vinyl would be fun for personalizing something your favorite guy or for a teen that loves that flannel-look. I used my Silhouette Cameo to cut this simple monogram and then I weeded out the negative vinyl. I then cleaned my cup with rubbing alcohol to remove any dust or residue and then used transfer tape to adhere the vinyl to the cup. I made this really pretty keychain hanger for my tween daughter’s backpack. I purchased acrylic discs with the hole already drilled in them. I then used my Silhouette Cameo to cut this polka dot vinyl to cover the front of the clear keychain. I weeded out the excess vinyl, including the stripe around the inner edge and the letters. I then cut a solid circle of teal vinyl and adhered it to the back of the keychain so the teal color will show through to the front. I attached the clip hardware so my daughter can hang this keychain on her school backpack. If you are cutting adhesive vinyl, you will need transfer tape to easily transfer your design from the carrier sheet and place your design on your item. For example, if you are cutting a name, the transfer tape keeps it straight or just as you designed it and you are able to transfer entire names, words or phrases all at once. I prefer the medium tack tape in the six inch size. I buy it in a huge roll and it lasts forever and you can cut it for smaller transfers or layer it for larger vinyl items. If your vinyl is having a tough time releasing from the transfer tape, you can try removing some of the stick from your transfer tape on your shirt or pants before using. For t-shirts and other garments or fabrics, you will need something called heat transfer vinyl (HTV). Pattern HTV can be applied to shirts or other fabric either with a heat press or with a home iron and comes in many different colors, metallic and even prints. If you are using a home iron, be sure to use extremely firm pressing (not gliding) motions with your iron and make sure you have a very hard surface underneath, like smooth piece of floor tile ($2 at your local Home Depot) or a metal cookie sheet. Transferring and cutting pattern HTV can vary by type. Some printed HTV will be cut right-side up and this type of HTV needs special transfer tape, made for printed HTV and it will be transferred similar to the adhesive vinyl above. 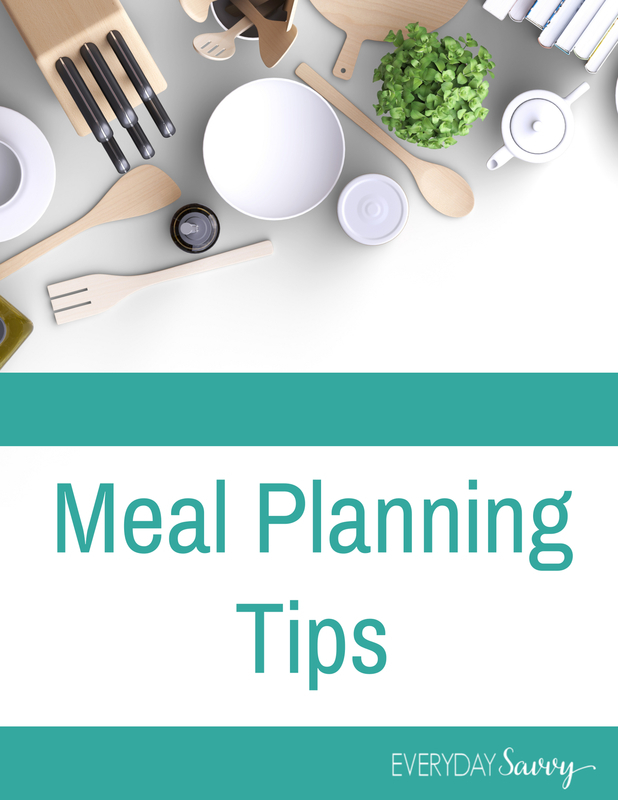 It is also recommended that you place a Teflon sheet on top of your transfer tape sheet to help the heat to be evenly distributed on your design. The other type of HTV comes on its own carrier sheet (like transfer tape). When cutting this type of HTV, make sure you put the shiny side down on your mat and mirror your design, so the writing or design appears flipped or backwards in your cutting program. After you remove the negative part of your design, place the whole carrier sheet on top of your t-shirt or fabric and press or iron according to the product directions. It is also recommended that you place a Teflon sheet on top of your carrier sheet to help the heat to be evenly distributed on your design. I personally have own several Cricut machines and a Silhouette Cameo. My Silhouette Cameo is my absolute favorite crafting machine. I am able to design all of my vinyl cuts right on my computer and then easily cut them out. The original Silhouette Cameo was released a few years ago and recently, Silhouette has since released a Silhouette Cameo 3, plus machines in lots of fun colors. The updates were small and I would recommend both models. The Sizzix Eclips 2 is another new electronic cutting machine on the market for home use that would work great for vinyl cutting. Its features are similar to the Silhouette Cameo and this new and improved model has gotten excellent reviews so far. Cricut has a developed a newer Cricut Explore Air 2 machine that is computer-based and the Cricut Maker. Both cut vinyl, but the Cricut Maker cuts lots of thicker materials as well. Keep in mind that you will need internet access at all times to use this machine. I love that my Silhouette machine works without Internet Access. If you need more vinyl resources and tips, check out our article on Vinyl for electronic cutting machines. It covers where to find solid colored adhesive and heat transfer vinyl in sheets, rolls and more. I enjoyed reading this! Do you need a certain kind of printer to print vinyl? Thanks! The vinyl that I used for my projects is professionally printed and it is coated, during the printing process, with a finish that makes it so the colors will not run. This makes it great for outdoor use (like your car window) or on items that you handwash like drinkware. Expressions Vinyl sells printable vinyl that you can print yourself on your home printer, but I’m not sure if it is permanent/able to withstand washing. Thank you! I hope this helps. I would like to blow the dust off my Cricut and do some vinyl printing. Thank you for the resources. You are welcome! I also have an older Cricut that I sometimes pull out! These are awesome tips and resources. I’ve had a Cricut for years and have yet to cut any vinyl with it (I know, I’m behind)… Also, if these are pictures of your vinyl collection I am crazy jealous! Thanks for sharing at Merry Monday. This is my first tutorial on vinyl. You’re so kind to share your wisdom and much needed information. You are welcome! Once you start crafting with vinyl, you won’t want to stop! It is a monogram font. You can find this font from either Font Brothers or there are similar circle monogram fonts sold on etsy.com. Where do you find the circle acrylic key chains? And what size did you use? I bought mine at Craft Chameleon. They are in the process of changing websites. It used to be called Punch Place, but you can search it up on Facebook or google their website. I have a cricut and it’s giving me an error for cutting camo vinyl. Saying it can’t read the sensor marks. Have you had this happen to you? I’m sorry, I have never experienced that. Are you sure you are doing a regular cut and not print and cut? The vinyl should be done with a regular cut.